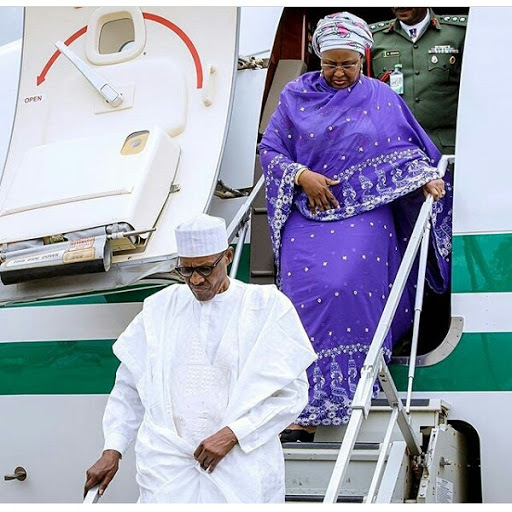 Home / News / Our President Buhari And Wifey, Aisha, Finally Back From Sallah Break In Daura! Our President Buhari And Wifey, Aisha, Finally Back From Sallah Break In Daura! President Muhammadu Buhari and the first Lady, His wife Aisha Buhari are back in Abuja after enjoying 6 days Sallah Holiday in his hometown Daura, Katsina state. Welcome back sir and ma!